"An educational group dedicated to preserving and understanding horology"
The Chapter's goal is horological education - of Chapter members and interested members of the general public. To accomplish this, Lone Star Chapter 124 offers a variety of classes, workshops, and seminars throughout the year. 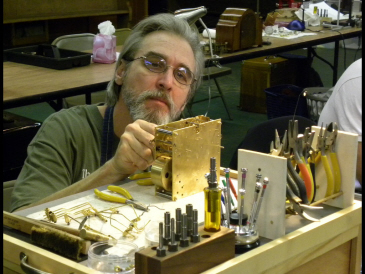 In addition, designated "open bench" workshops are scheduled for Chapter members to consult with experienced repairers about problems they are having with clocks, and to use the Chapter's extensive collection of specialized horological tools to repair their clocks. Classes (listed below) are limited in size and anyone interested in registering for a class should do so at the earliest opportunity. All class dates are subject to change, so please keep checking this page for date changes. Unless otherwise noted, all classes/workshops are held in the Founder's Building, 701 South Main Street, Grapevine, TX 76051. 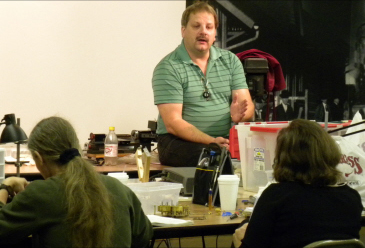 Chapter 124 also offers Field Suitcase Courses in conjunction with the National Association of Watch and Clock Collectors (NAWCC). Registration for these courses (denoted by an "*FSW##" in the course listing below) is handled separately from most of the Chapter courses. Copyright © 2017 Lone Star Chapter 124 NAWCC, Inc.